A Moroccan has mounted a Change.org petition, calling on the Ministry of Justice to sentence the murderers of 28-year-old Maren Ueland from Norway and 24-year-old Louisa Vesterager Jespersen from Denmark to death. “The death penalty is undoubtedly the right solution to this horrible crime, as [a] Moroccan, I request the application of Articles 393, 399 of the Moroccan Penal Code”, the petition reads. Article 393 stipulates that “murder committed with premeditation or ambush is qualified assassination with the death penalty”, while Article 399 implies that any crime involving torture or acts of barbarism is punishable by death. Although the North African country has not abolished the death penalty, no executions have taken place since 1993. Thank you Mr Ambassador. This heinous barbaric act does not represent Morocco or Moroccans. We are warm and loving people. These terrorists are not even humans and I hope they will be sentenced to death penalty. We are very sorry for the families and countries of the victims. This has nothing to do with Islam. Calling those bastards devout Muslims is unacceptable. People in Morocco are shocked and demand death penalty. This is the reality. 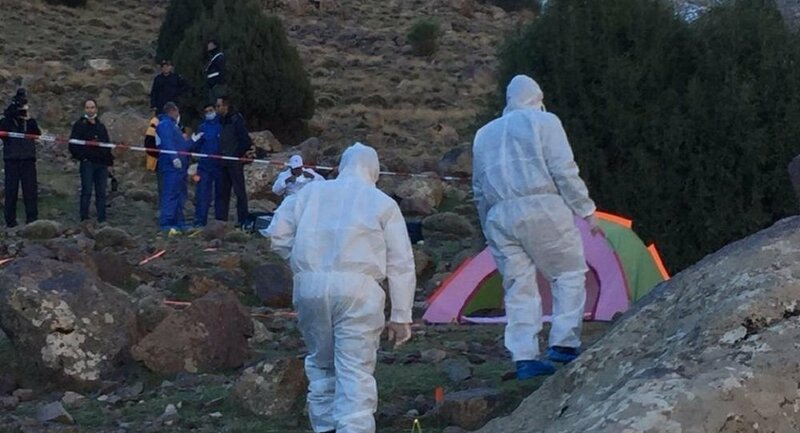 Ueland and Jespersen were killed near a path up to peak Toubkal, a popular hiking destination in Morocco. One of the victims was beheaded, while another sustained serious neck wounds. The case is being investigated as a terrorist act. A video of the decapitation of one of the girls emerged online, with a knife-wielding perpetrator shouting “It’s Allah’s will” and “This is revenge for our brothers in Hajin in Syria. These are your heads, enemy of God", referring to the Daesh stronghold in the province of Deir ez-Zor captured by US-backed forces earlier this week. Danish intelligence services have authenticated the extremely graphic footage. On Friday, Moroccan police arrested nine more people in various cities across the country shortly after four suspects were detained in the city of Marrakesh. The country’s Central Bureau for Judicial Investigations said police had discovered electronic devices, unauthorised hunting rifles, knives and materials that could be used for bomb-making. According to the country’s authorities, the four suspects first arrested over the murder had pledged allegiance to Daesh* in a video now circulating on social media. While the authenticity of the video is yet to be confirmed, no group has claimed responsibility for the murder.